Cusco holds all of its products to the strictest of quality standards. All Cusco parts are developed from quality data gathered from testing on actual model specific cars, ensuring real world results on real world applications. Cusco develops and manufactures a wide variety of suspension and chassis components to improve the handling of a stock vehicle to give it that tight, track tuned suspension automotive enthusiast's desire. Weather it's a daily driver, weekend cruiser, or dedicated track vehicle, Cusco products will give you greater control and better driving experience. This Cusco rollcage was developed specifically for the Lotus Exige. Although the Lotus Exige is world renowned for its terrific handling in stock form, drivers demanding the absolute best handling and structural safety must install a cage in their vehicle. The rollcage drastically improves chassis rigidity, improving handling, steering response and overall feedback. Cages also improve safety in case of an accident, especially in high speed situations such as racing competition. Check with racing officials if rollcage meets requirements before buying. 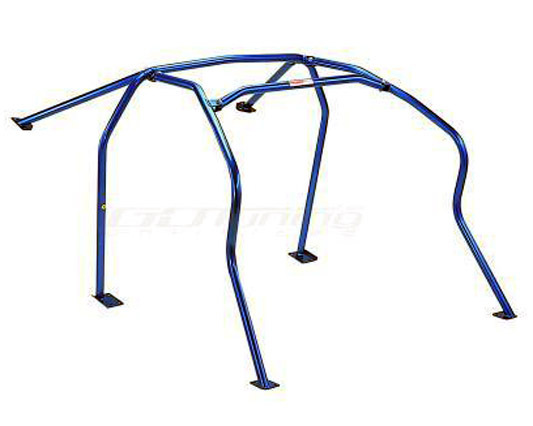 This rollcage includes the front 4 point cage, the main arch sidebar, sidebar, front dash under bar, reinforcement for cage corner, seat belt anchor and pillar joint. Contact Us with any questions..